What can you discover from a Metropolitan Life Insurance Review? 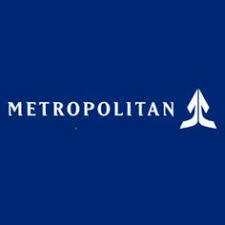 Metropolitan is the 3rd largest listed life insurer in South Africa. The company’s aim it is to enhance the financial wellness of people. The business model is uniquely structured to deliver affordable financial services to the 2 million lives the provide services to. Therefore, under the Metropolitan Life Cover umbrella, they offer a host of exceptional life cover products. For instance, Future Builder Life Cover is their simplest product and your cover can range from R100,000 to R500 000. Yes, you can cover yourself or any of your family. And you get money paid back into your bank account every 5 years while your policy is active. Metropolitan understands the need to cater for term life insurance- and whole life cover. And with this cover, your premiums are flexible because you can decrease the level of cover you require anytime and there is also a cashback bonus. Importantly, Metropolitan it seems comes out tops for achieving the greatest customer satisfaction among South Africans. The latest South African Customer Satisfaction Index (Sacsi) tell us that Metropolitan scored 82.6 index points, with the company improving its score over the years. This year, 2017, the latest South African Customer Satisfaction Index (SAcsi) for life insurance, tells us that Metropolitan’s score of 82.6 puts it above the industry average of 79.0 and that the insurer is consistently improving its score, having climbed from 81.4 in 2015. Metropolitan’s customers like the face-to-face experience they get with Metropolitan, unlike the way Discovery serve their customers more online via apps. Certainly, Metropolitan customers feel that the insurer is more personal and offers them products that meets their specific needs, and delivers on their promises. Nevertheless, it seems that in spite of the fact that Metropolitan comes out tops with most customers, it isn’t immune from criticism. So when you look at Hello Peter, you’ll see how customers describe them as ‘liars’, and one person says ‘worst worst …horrible service’, while someone else says ‘no response to complaint’. As you can see, you need to choose your life insurance company carefully. What appeals to one doesn’t appeal to the next. Yet, there are a host of things you need to look at apart from comparing prices. Life insurance is a long term contract. Apart from making sure the company is financially sound, it seems as though customer services have become one of the most important factors when choosing insurance. Most of the South African insurers are lacking in this particular respect. ← PinnAfrica Life insurance offers hi-tech cover.